The Big Bank Theory teaches teens the importance of budgeting, saving money, and prioritizing spending decisions. During the program, students are engaged in a hands-on, real-life financial simulation that introduces them to the realities of being financially sensible while gaining valuable experience paying bills and making daily decision that are essential to being a responsible adult. 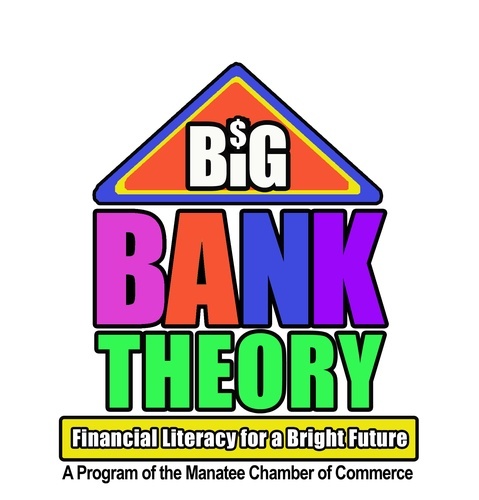 From ensuring they have food, shelter and transportation to those unexpected life occurrences, the Big Bank Theory is a fun, interactive program that provides today?s students with a solid foundation for a bright financial future. For more information call Terri at 941-748-4842, ext. 172 or email at TerriB@ManateeChamber.com. Volunteers may also sign-up for all day.